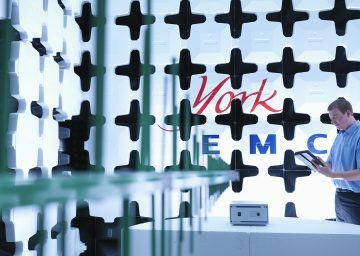 Eurofins York (formerly York EMC Services) has unique and proven knowledge in supporting customers in achieving compliance to the medical standards IEC/EN 60601-1, IEC/EN 60601-1-2 and IEC/EN 61010-2-101 for safety and EMC. Medical electrical equipment, by the nature of its operation, can generate potentially high levels of disturbances whilst working in the same environment as sensitive monitoring equipment which, if adversely affected, could pose a risk to life. The assessment of such equipment against the regulatory requirements, therefore, involves a more rigorous approach to ensure that the risks are identified and reduced appropriately. European and International standards provide a set of commonly accepted test methods, test limits and test levels for the assessment of medical electrical equipment. However, in an environment where there is a much greater emphasis on risk, the latest standards additionally require the manufacturer to carry out and document a comprehensive risk assessment. The resulting Risk Management File (RMF) influences the testing that is performed on medical electrical equipment. Engineers’ from our three UKAS accredited testing laboratories No. 1574 are able to work with you to identify the appropriate standards for your medical electrical equipment and to guide you through the testing process. Please refer to our UKAS schedule for full details of specific standards we are accredited to and contact us for a full list of standards we can test to. We offer UKAS accredited safety testing of medical electrical (ME) equipment for compliance with the international medical device general safety standard IEC / EN 60601-1. We are accredited by UKAS to the 4th edition of the collateral EMC standard for medical electrical equipment, IEC / EN 60601-1-2. The 4th edition of EN 60601-1-2 fundamentally changes the assessment methodology and now defines tests and limits according to risk, the intended use and the place of use. For example, equipment intended to be used in a professional healthcare facility may have different requirements from that used in a home healthcare environment. We have many years’ experience of accredited EMC testing of medical electrical equipment to IEC / EN 60601-1-2, including the 2014 version with its increased radiated immunity requirements for CE marking. Our portfolio of UKAS accredited electrical safety testing includes the assessment of in vitro diagnostic (IVD) medical equipment to the IEC / EN 61010-2-101 standard. We work with manufacturers who are planning to embed wireless technology into a medical device to identify the appropriate CE marking directives, standards and testing at the earliest opportunity so that regulatory compliance work can be undertaken in an efficient manner. We are also able to offer advice on the integration of pre-approved radio modules into medical, electrical equipment. We also operate as a Notified Body (n. 0477) authorised to award EC certification of Medical Devices in accordance with Directive 83/42/EEC through our parent company, Eurofins. 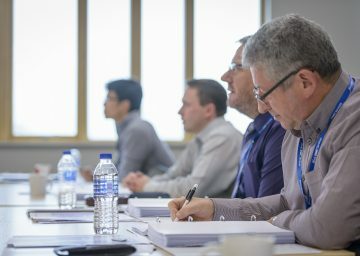 Eurofins York offers a comprehensive training portfolio with courses and workshops ranging from one-day ‘Essentials’ through to the industry-leading five-day ‘Fundamentals’. 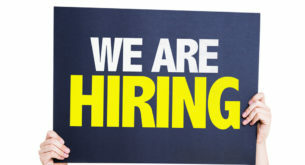 Subjects include CE Marking, electrical safety, EMC, wireless and radio, and electromagnetic fields (EMF). All of our training events are delivered by practising industry experts with many years of practical experience.